Two weeks ago, Securities and Exchange Commission (SEC) Administrative Law Judge Cameron Elliot slammed the Chinese branches of the Big Four accounting firms—PricewaterhouseCoopers, Deloitte Touche Tohmatsu, Ernst & Young, and KPMG—with a six month practice bar for failing to disclose audit materials when requested by the SEC. The decision is the latest development in ongoing international negotiations between the SEC, the Public Company Accounting Oversight Board (PCAOB), the Chinese Securities Regulatory Commission (CSRC) and the Chinese Ministry of Finance regarding cross-border accounting practices. The U.S. and Chinese securities regulators continue to wrangle over the disclosure of work papers made by accounting firms while auditing Chinese companies. This essay examines the conflict between U.S. and Chinese rules for audit work disclosure and the substance of the recent SEC decision. It analyzes the decision’s potential impact on the capital markets and the current negotiations, concluding that the success of the SEC’s strategy for gaining access to audit work papers is largely dependent on the impact that Judge Elliot’s recent decision will have on the capital markets. However, the Big Four accounting firms, which operate through separate corporate entities in China, are subject to different rules under U.S. and Chinese Law. In the U.S., “[a]ny foreign public accounting firm that prepares or furnishes an audit report with respect to any issuer” is subject to the Sarbanes-Oxley (SOX) Act and the rules of the PCAOB and the SEC issued under the Act. Also, any foreign public accounting firm that “plays a substantial role” in an audit is subject to U.S. rules. Section 106 of the SOX Act, in turn, requires foreign accounting firms to produce their work papers upon request by the SEC or PCAOB. Chinese law, on the other hand, treats the information in audit work papers as akin to state secrets, meaning accounting firms would violate Chinese law if they turned the materials over to the SEC. Recognizing the incongruity, U.S. and Chinese regulators have been negotiating in an attempt to mend the regulatory conflict. As part of the talks, PCAOB representatives visited China in October 2012 to witness Beijing’s regulatory and oversight process and, the following month, Chinese regulators visited the U.S. For its part, the CSRC has instituted procedures for disclosure under which the agency acts as a clearinghouse, receiving requests for audit materials and reviewing the firm’s work—with an eye towards redacting any material deemed a state secret—before disclosure. However, the SEC has balked at this approach, preferring direct accountant-to-SEC disclosure. In the meantime, auditors have had to make a decision. The Chinese offices of the Big Four firms, which—among other things—work on Chinese IPOs and audit the Chinese operations of American companies, have chosen to follow the more restrictive Chinese regulations. In the course of investigating Chinese companies for fraud two years ago, the SEC requested audit work papers from the Big Four’s Chinese affiliates, which uniformly denied the SEC’s request. In response, the SEC filed a complaint against them, alleging that the firms had violated Section 106 of the Sarbanes-Oxley Act by willfully refusing to turn over their audit work. Last week, an SEC Administrative Judge handed down a decision in favor of the SEC. Rejecting the Big Four’s argument that Section 106’s “willful” language required bad faith, or at least a lack of good faith, Judge Elliot held that knowing refusal to disclose documents when faced with an SEC request was sufficient to prove a violation. All the firms denied that they violated the law. Their defense rested heavily on a memorandum by Century-Link, a Chinese law firm. The memo advised all the accused firms that Chinese law barred disclosure to the SEC or PCAOB because of the potential for disclosing state secrets discussed in the audits. When faced with U.S. requests, the firms met with the CSRC and the Chinese Ministry of Finance, which advised them to redirect the SEC’s requests to the two government agencies and provide the requested material to the Chinese authorities for further review. However, the defendants’ reliance on Chinese law as the basis for their refusal opened the firms to a ruthless response. Judge Elliot noted that while the Big Four “found themselves between a rock and a hard place, it [was] because they wanted to be there.” Elaborating, he discussed the “gall” of the firms taking the calculated risk of registering in both the U.S. and China, cognizant of the regulations, while hiding behind one of the two nations’ regulations. As a result of the willful violation, Judge Elliot barred the firms’ Chinese affiliates from auditing companies listed on American exchanges for six months. The judge’s decision may have a negative impact on more than the auditors themselves. Commenting on the decision’s timing, Paul Gillis, a professor at Peking University’s Guanghua School of Management, noted that upcoming SEC deadlines require audit reports. The auditing bar may prevent companies relying on the Chinese affiliates from meeting these deadlines, potentially resulting in the de-listing of Chinese companies in the U.S. and the stalling of IPOs. This concern was also echoed by the Big Four during the SEC proceeding. However, whether the decision will actually disrupt the capital markets is unclear. Judge Elliot tackled the Big Four’s prophecies of disastrous consequences head on, stating that their “dire predictions of investor losses, delisting, and loss of market capitalization, which are generally predicated on a lack of adequate substitute auditors, are unrealistic and unpersuasive.” Buttressing this analysis, Shuang Zhao, a partner at Shearman and Sterling’s Hong Kong office, has claimed that IPOs will likely proceed, the potential hazards of de-listing and accounting irregularities merely being factored into a company’s valuation. Regardless of whether the decision will result in delistings or a drop in IPOs, it appears that the decision has had an impact on trading prices. A Reuters report notes that the prices of Chinese companies listed on U.S. exchanges through the lightly-regulated reverse takeover approach have recently dropped, with some market analysts connecting the SEC decision to the decline. Moving beyond the economic impact of the decision, will Judge Elliot’s holding bolster the SEC’s position in its negotiations with Chinese regulators? Paul Winkelmann, a Chinese PricewaterhouseCoopers partner, criticized the opinion, stating “[The SEC and PCAOB] keep putting pressure on us when in fact the whole thing can only be resolved by government-to-government or regulator-to-regulator discussions – and those discussions are taking place so we’re just piggy in the middle.” Under this view, the recent decision only hurts auditors without making any meaningful gains for U.S. investors. However, this reading of the decision may fail to grasp its strategic potential. Under the SEC’s strategy, it is not the Big Four that are meant to pressure the Chinese government to allow for the disclosures. Instead, it is the Chinese clients—dependent on Big Four services—who will press Chinese agencies to agree to greater disclosure in order to reopen access to American exchanges. By indirectly pressuring Chinese companies with the threat of a delisting or a stalled IPO, the SEC and PCAOB are looking to create internal political pressure on Chinese agencies to reach an agreement with their American counterparts. 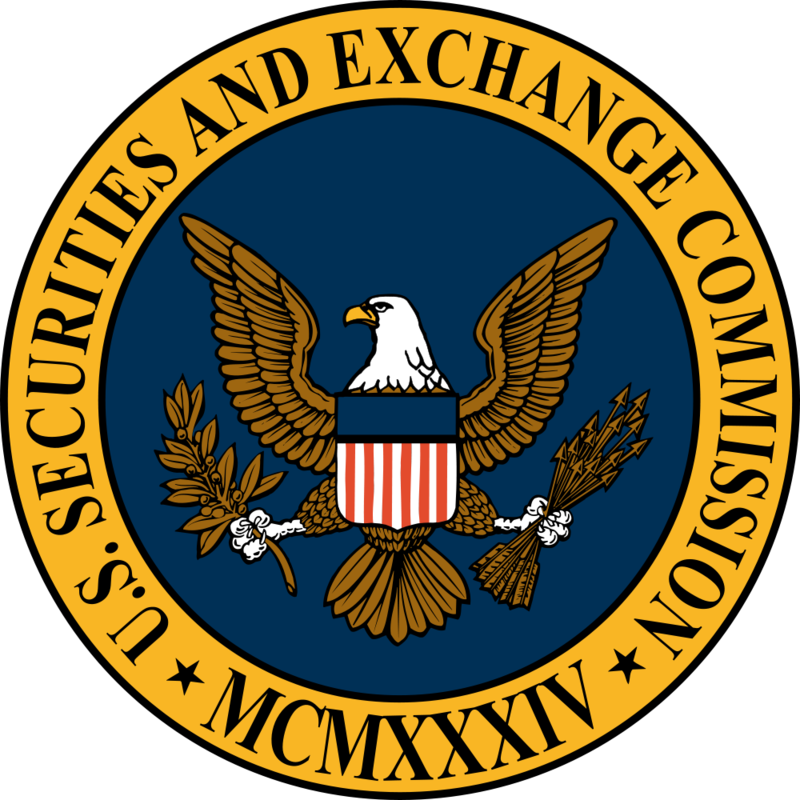 Will the SEC and PCAOB’s strategy succeed? Ironically, that will depend on Judge Elliot being wrong in his recent pro-SEC opinion. In his decision, Elliot dismissed the Big Four’s concerns over the impact the decision will have on Chinese companies in the capital markets. In writing his decision, Judge Elliot assumed that Chinese companies have suitable auditing substitutes to the Big Four. However, in order for the SEC’s strategy to succeed, the opposite needs to be true: Chinese companies need to have few alternatives to the Big Four’s services, leading to delistings and IPO stalls. Under the SEC’s strategy, these negative effects must occur in order to create the internal political pressure necessary for Chinese regulators to cave in the ongoing negotiations with the U.S.
Citation: Noah Black, Crouching Tiger, Hiding Auditor, 1 Cornell Int’l L.J. Online 162 (2013). See, e.g., Edward Wyatt, S.E.C. Charges 5 Firms Over Audits in China, N.Y. Times, Dec. 4, 2012, at B1, available at http://dealbook.nytimes.com/2012/12/03/s-e-c-charges-the-chinese-affiliates-of-5-big-accounting-firms/?_php=true&_type=blogs&_r=0 (discussing PCAOB negotiations with China); see also Sarah Lynch & Dena Aubin, U.S. Chamber to Lobby for Deal After ‘Big Four’ Defeat, Reuters (Jan. 24, 2012) http://www.reuters.com/article/2014/01/23/sec-china-chamber-idUSL2N0KX1XN20140123 (noting a recent visit by Treasury Secretary Jack Lew that resulted in the CSRC releasing audit materials for one ongoing SEC investigation). See Wyatt, supra note 2. For a discussion of Chinese reverse mergers and potential regulatory strategies, see generally Ashley N. Schawang, Missing the Mark: An Examination of the Current Government Response to the Chinese Reverse Merger Dilemma, 57 St. Louis U. L.J. 219 (2013). See id. ; Wyatt, supra note 2. See Michael Rapoport, Judge Suspends Chinese Units of Big Four Auditors, Wall St. J. (Jan. 23, 2014), http://online.wsj.com/news/articles/SB10001424052702303448204579337183810731744?mg=reno64-wsj&url=http%3A%2F%2Fonline.wsj.com%2Farticle%2FSB10001424052702303448204579337183810731744.html. Id. at (a)(2); PCAOB Rule 1001(p)(ii), SEC Release No. 34-48180, File No. PCAOB-2003-03 (July 16, 2003), available at http://pcaobus.org/Rules/PCAOBRules/Pages/Section_1.aspx. See Rapoport, supra note 7. See Wyatt, supra note 2. See, e.g., BDO China Dahua, Initial Decision Release No. 553, at 19, 30, 37 (“The state secrets were ‘scattered throughout the working papers,’ and included ‘technology know-how’ and non-public Chinese ‘governance policy.”). BDO China Dahua, Initial Decision Release No. 553 at 2–3. The SEC initially filed its complaint against Deloitte. It later filed a consolidated complaint against the entire Big Four, along with another Chinese auditing firm. Id. Id. at 10, 21, 31, 40. Paul Gillis, SEC Bans China Big Four, China Accounting Blog, (Jan. 22, 2014, 6:08 PM), http://www.chinaaccountingblog.com/weblog/sec-bans-china-big-four.html. BDO China Dahua, Initial Decision Release No. 553 at 108-9. Sarah N. Lynch, U.S. SEC Judge Bars “Big Four” China Units for 6 Mths Over Audits, Reuters (Jan. 23, 2014), http://www.reuters.com/article/2014/01/23/sec-china-bigfour-idUSL2N0KW22720140123. Rodgrigo Campos, Audit Ruling Scares Investors Out of U.S.-traded China Shares, Reuters (Jan 24, 2014), http://in.reuters.com/article/2014/01/23/markets-stocks-china-idINL2N0KX1G320140123.